I used to describe myself as the "go with the flow" slow(er) half of @TwinsRun. My easy-going attitude changed when I decided that I wanted to catch-up to the faster half so that we could run the Boston Marathon together. 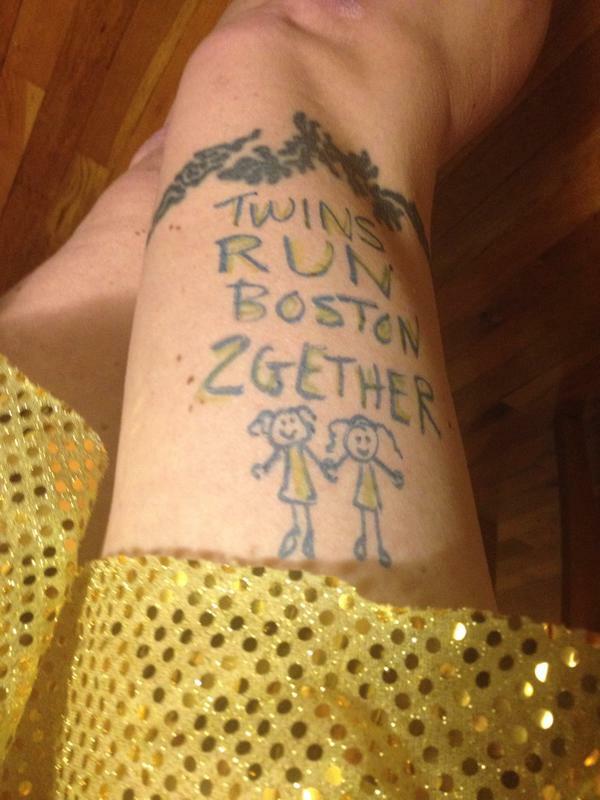 Leah ran her 1st Boston Marathon in 2013 and she will run her 3rd on April 20. To qualify for the 2016 Boston Marathon I need to finish in 3:45. For the best chance at being accepted, I need to finish in 3:43:58 or less. *I'm determined to finish, if at all possible. The temperature and rain are variables that could definitely affect my ability to meet my A, B or C goals. If necessary, I'll consider the 1st 20 miles a long training run and then walk the final 6.2 miles to save legs for the Charlottesville Marathon on 4/4. So how did things go for you at RnR DC last Saturday??? That rain was killer. Talk about terrible timing - you gotta love how it started raining on Friday night and didn't stop until Saturday afternoon. It would be a challenging day to be going for a BQ, that is for sure. Looking forward to hearing your race recap!